I can't believe I'm going to say this as I sit here in my Canadian holiday cottage surrounded by pumpkins and Halloween-loving folk, but I'm not a big fan of Halloween. I never have been. I don't know if it's because I don't like orange - it doesn't like me either (it looks hideous on me), or because it transports me back to the '80's and memories of my bright orange Datsun 200b complete with brown vinyl roof. Come to think of it those colours would fit right in over here at this time of the year! A deer. 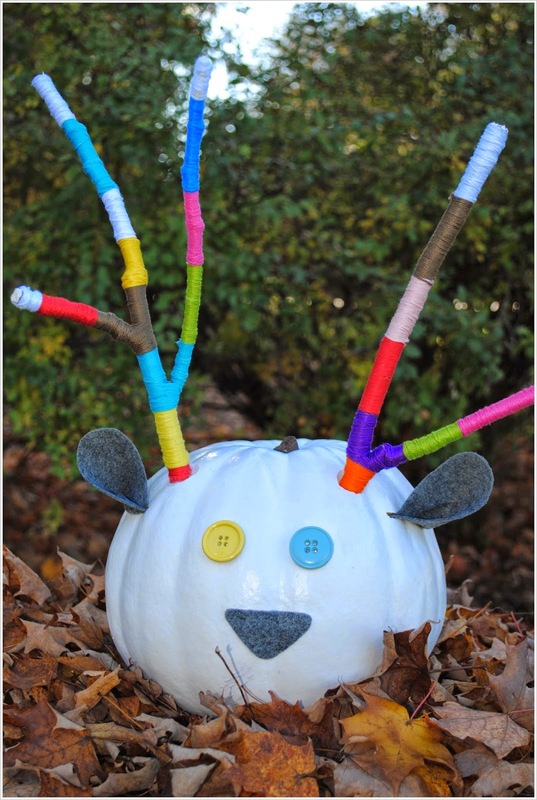 A beautiful, quirky, very white, very sweet Halloween "deer". A dear deer, if you like. 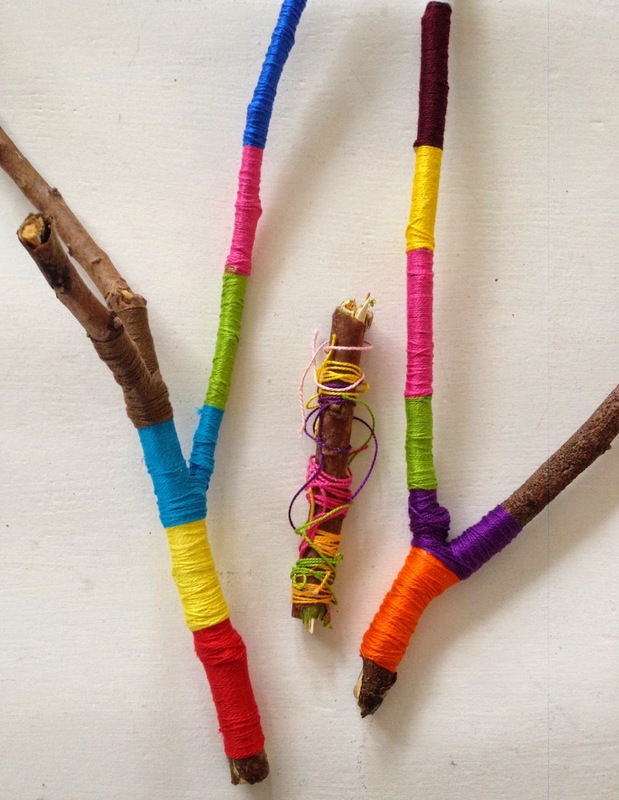 We started off by wrapping coloured yarn tightly around two branches that we found on the trail behind our cottage. My niece and I sat together for an hour or two wrapping a branch each. It was actually very cathartic and a relaxing way to spend some time together. My 3 year old had a go at wrapping too (and lasted about 10 minutes) - can you guess which is her branch? 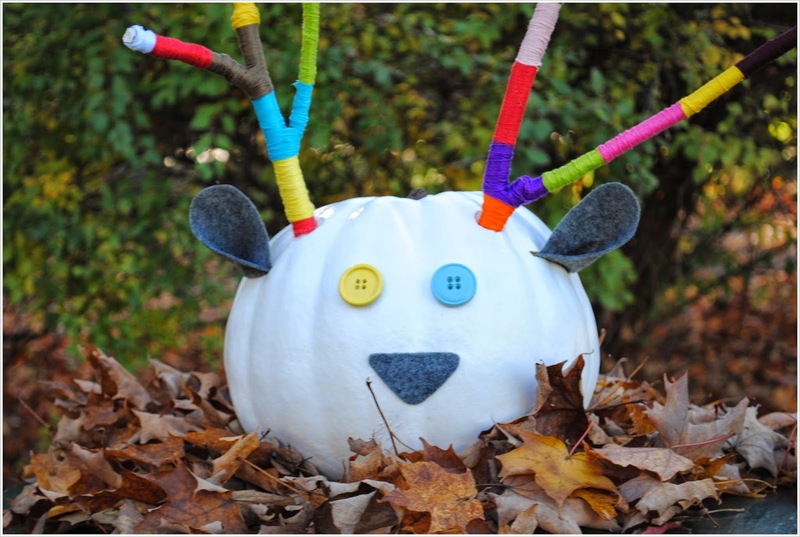 Once my pumpkin was dry I cut out two holes for the antlers - angling down so the antlers would stick up not out. 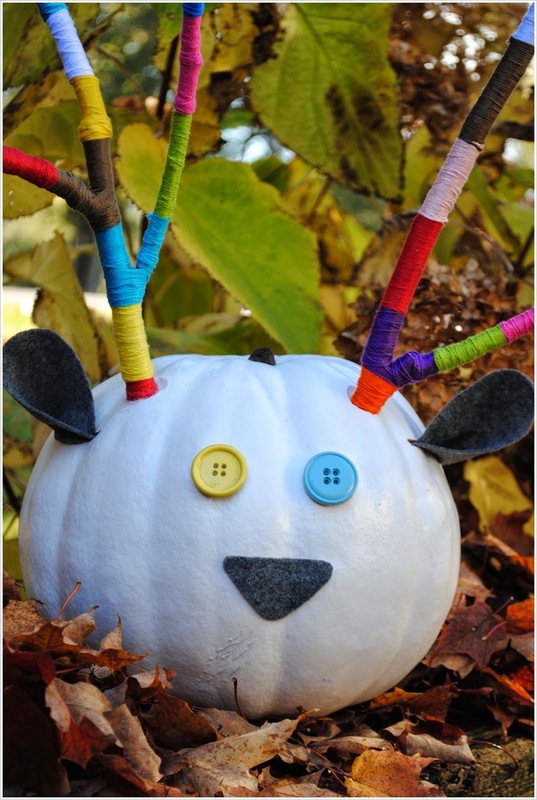 My holes weren't the perfect size so I just stuffed some cotton wool balls around the antlers for a snug fit. I then attached two buttons for the eyes and a piece of triangular felt for the nose with hot glue. 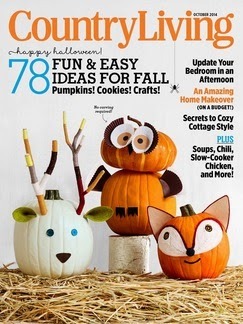 I cut slits into the side of the pumpkin and squished in the ears which were folded felt triangles (I rounded off the top of the triangles so the ears ended up looking more like in the magazine - leaving the triangles pointy at the top just didn't seem to work). And then there he was. 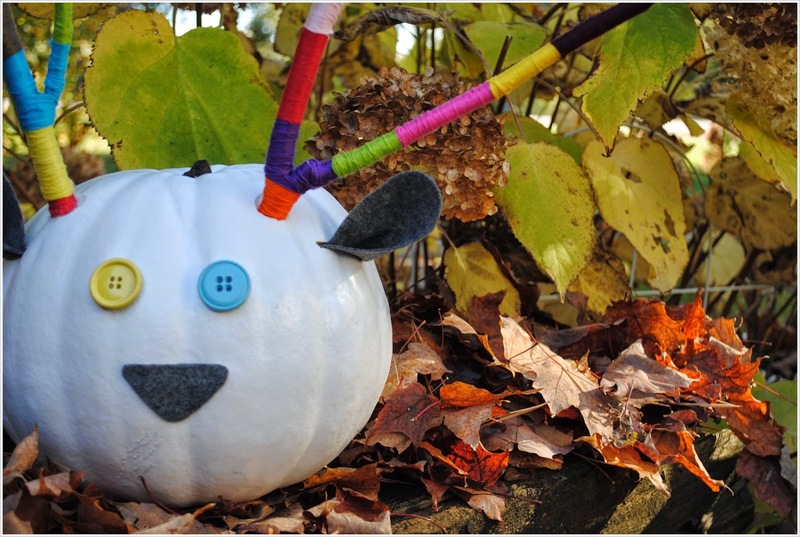 A sweet little Halloween woodland creature with not a hint of orange and not in the least bit spooky. Just how I like it. 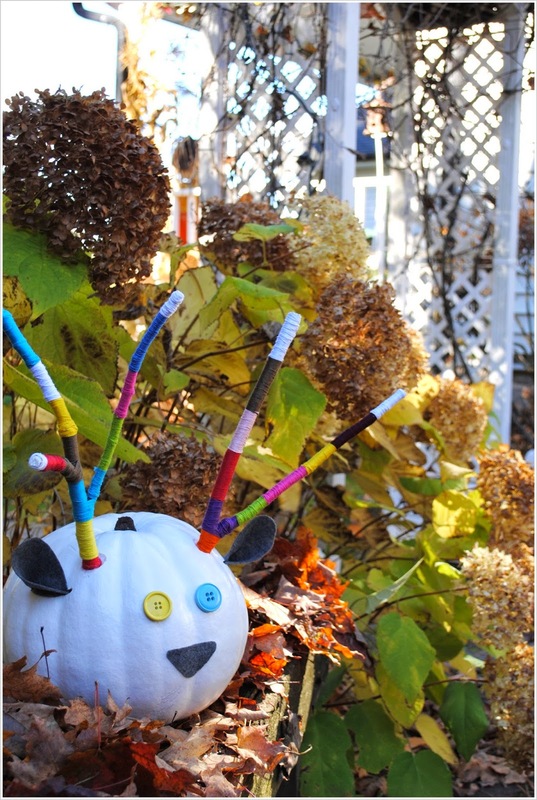 How about you - do you celebrate Halloween? 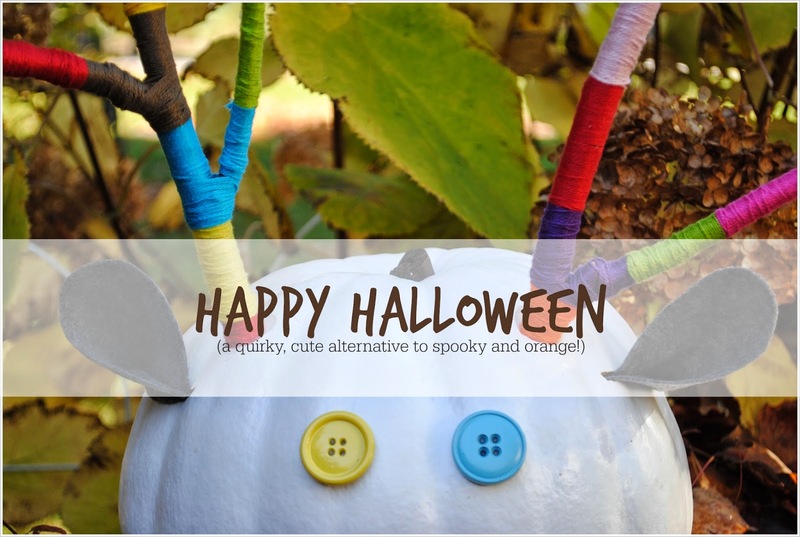 Do you stick to the traditional type of decorating and activities, or are you like me and shy away from all that is orange and spooky? It is so cute and original!! Good work dear! Thank you, Paoletta - we enjoyed making it too! Floral Friday ~ "Flowers in the Garden"